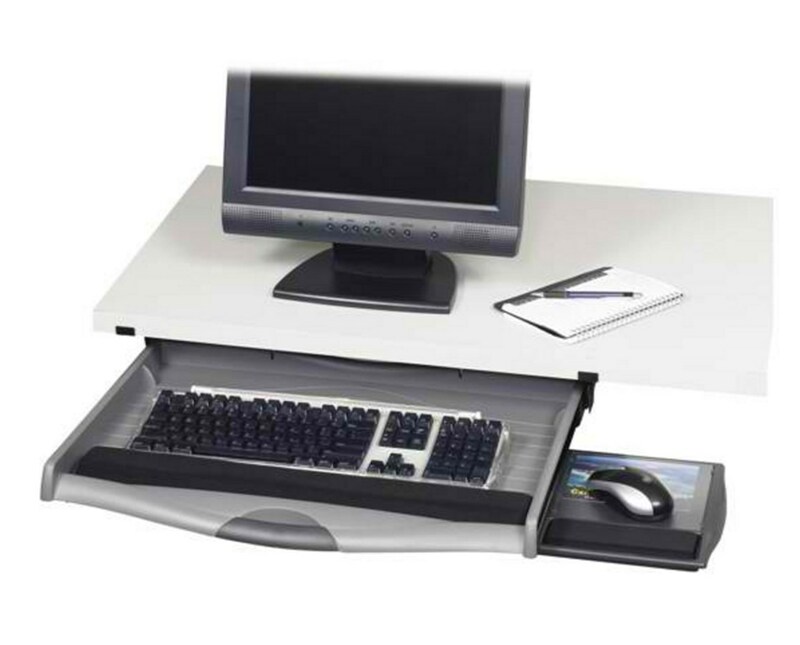 The Safco Ergo-Comfort Premium Underdesk Keyboard Drawer is a heavy-duty drawer that can be mounted down under any work surface like office tables, computer desks, and more. It can be locked to any keying position with the help of ball-bearing glides. It has three height positions with two tilt adjustments. Also featured are a removable padded wrist rest, a soft-grip drawer handle, and a mouse tray. 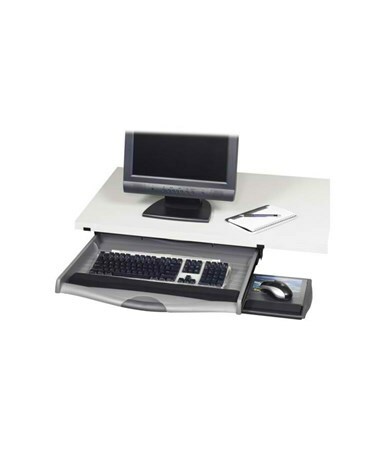 For compatibility, the mouse tray can be installed on the left or right side of the drawer. This premium drawer is made of heavy-duty plastic is GREENGUARD certified for safe indoor use. This product includes a mounting hardware.